A quarter of a century after it first won Business Traveller’s award for Best Airport in the World in 1988, Changi Airport has once again been named the world’s best by readers of the leading travel publication. This 25th consecutive nod is unprecedented in the magazine’s awards history. 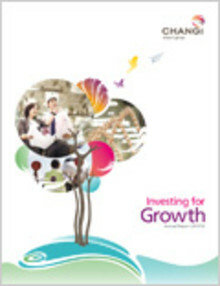 Changi Airport Group (CAG) today released its annual report for the financial year ended 31 March 2012 (FY11/12). CAG closed the year, its third post-corporatisation, with a strong set of operating results, notwithstanding the uncertain global economic outlook and a challenging operating environment. 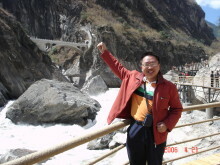 Mr Chen Ziwu (陈兹武), a native of Hubei province in China, has become the third lucky shopper at Changi Airport to qualify for the ‘Be a Changi Millionaire’ 2012 Grand Draw. The 37-year-old general manager of an American payment solutions company in Beijing was on one of his routine business trips to Singapore in August, when he shopped at Changi Airport. With the closure of the Budget Terminal (BT) at Singapore Changi Airport on 25 September 2012, airlines currently operating at the terminal – Berjaya Air, Cebu Pacific, Firefly, Mandala Airlines, South East Asian Airlines and Tiger Airways – will move their operations to Terminal 2 on that day. Changi Airport today welcomed the arrival of Drukair, the national carrier of the Kingdom of Bhutan, which is situated in the Himalayas between China and India. 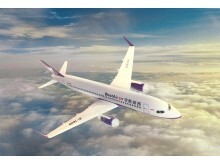 The second finalist of Changi Airport’s ‘Be a Changi Millionaire’ 2012 campaign hails from Shanghai, China. Ms Sun Ming (孙明), 27, had completed her postgraduate studies at international graduate business school INSEAD in Singapore, and was on her journey home in late June, when she shopped at Changi Airport. 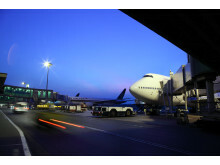 The number of passenger movements at Singapore Changi Airport increased 4.5% on-year to 4.36 million in July 2012. Air traffic movements grew in tandem, with 27,100 landings and take-offs recorded at Changi during the month, or 4.6% more compared to a year ago. 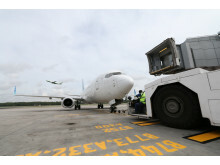 Singapore Changi Airport handled 4.4 million passenger movements in June 2012, 9.7% more than a year before. There were 26,700 landings and take-offs at Changi during the month, a growth of 6.4% year-on-year. 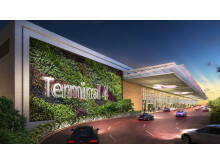 This month, Changi Airport Group (CAG) proudly marks a new milestone for Terminal 1 (T1), the Grand Dame of Singapore Changi Airport. 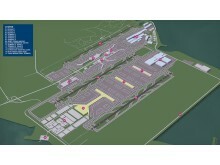 Upgrading works for Changi’s oldest terminal have been completed and a completion ceremony will take place on 18 July 2012. The first finalist to emerge in Changi Airport’s third run of the ‘Be a Changi Millionaire’ retail promotion is a female engineer from Shanghai, China. Ms Pan Lizhu (潘丽珠), 35, purchased two new iPads at Changi Airport in June – a deal that not only stretched her dollar but clinched for her a once-in-a-lifetime chance to win a million dollars. 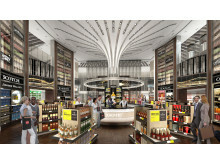 See Your Millionaire Dream Come True at Changi Airport! 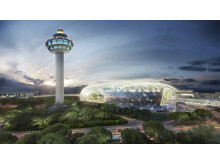 Singapore Changi Airport, the world’s most awarded airport, is enhancing the experience for its passengers with a rejuvenated programme for its popular Free Singapore Tour. 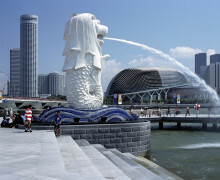 Launched in partnership with Singapore Airlines, the new tour provides passengers transiting at Changi Airport an opportunity to enjoy some of Singapore’s iconic sights. 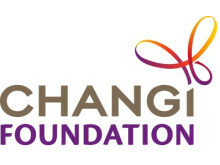 In May 2012, 4.09 million travellers passed through Singapore Changi Airport, an increase of 8.4% compared to a year ago. Flight movements at Changi increased 8.0%, corresponding with the growth in passenger movements. 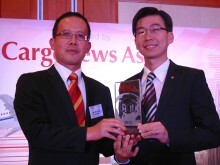 Singapore Changi Airport was honoured by the cargo industry at the Asian Freight and Supply Chain Awards (AFSCA) held at the Four Seasons Hotel in Shanghai this evening. 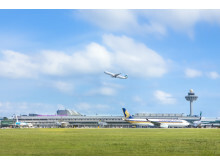 Changi Airport took home the Best Airport in Asia award for the 26th consecutive year and also picked up the Best Green Service Provider – Airport award for its focus on sustainable practices. 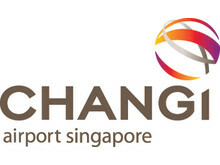 Singapore Changi Airport managed 4.21 million passenger movements in April 2012, 12.7% higher than the same month last year. Aircraft movements increased correspondingly by 8.8% to 26,400 movements. Changi Airport Group (CAG) today announced that it has commissioned Oshkosh Corporation, a US-based leading manufacturer of specialty equipment and vehicles, to provide seven new vehicles for its Airport Emergency Service (AES) unit. Lean back on a velvet chaise lounge as you revel in the glory of abundant riches around you. Watch in wonder as dollar notes emanate from a shopping bag perched on a stack of gold bars. Or walk down a flight of glittering golden steps that lead you to a vault of treasures. This is ‘The Millionaire Life’ at Changi Airport Terminal 3, literally under your feet. Changi Airport Group honoured its top airline partners this evening at the 7th Changi Airline Awards held at the Shangri-La Hotel. 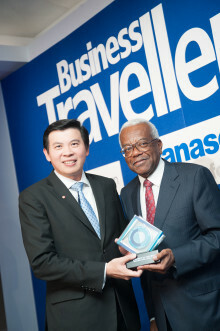 The event was graced by Mr Lui Tuck Yew, Minister for Transport and Second Minister for Foreign Affairs. The annual awards recognise the partnership of airlines operating at Changi Airport and their contributions towards making it a vibrant and world-class air hub.